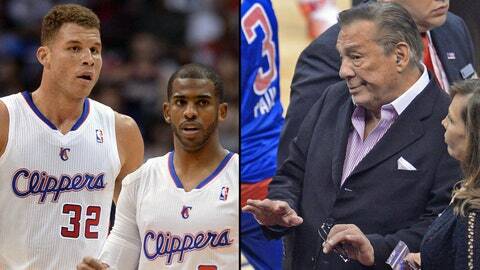 What’s next for the Clippers — and for Donald Sterling? In the wake of Saturday’s release of the Donald Sterling audio recording, many people — current and former players, team owners, civil rights activists, even the President himself — chimed in with their opinions, denouncing the words on the audio as racist and calling for swift action on Sterling. That action came Tuesday, as NBA commissioner Adam Silver announced Sterling, the longest-tenured owner in the league, would pay the ultimate price the commissioner can levy — a lifetime ban from the NBA and the league-maximum $2.5 million fine. In addition, Silver indicated he would ask the league’s owners to vote to force Sterling to sell the team. In the news conference, Silver said that Sterling acknowledged it was his voice on the controversial audio recording, but did not comment further or express remorse. But one person who has yet to hold a news conference, yet to face the cameras and give his side of the story? The 80-year-old Sterling himself. The Clippers could have a new owner by the start of next season if, per the NBA constitution and according to Silver, at least three-fourths of the other 29 owners recommend Sterling sell the team. That also comes with the caveat that, in the face of such action, Sterling accepts the punishments and agrees to the ban, fine and sale. But if Sterling, who has a history of involvement in litigation, decides to fight the move, the ownership of the franchise could hang in limbo for years. Or even, for "the rest of his life," Notre Dame professor Richard Sheehan tells the LA Times — a thought echoed by FOX Sports 1 legal analyst Rob Becker. "If he truly doesn’t want to sell, I’m going to guess he could tie this up for the rest of his life," Sheehan says. "It would be an absolute disaster." The Times report also stated that Sterling could "launch a protracted anti-trust argument against the NBA." "It doesn’t mean Donald Sterling is going to go quietly into the night — he may fight at every turn," said David M. Carter, executive director of the USC Marshall Sports Business Institute. How and when will the owners vote? In his news conference announcing Sterling’s ban and fine, Silver said, "I will urge the Board of Governors to exercise authority to force a sale of the team … and I’ll do everything in my power to ensure that that happens." 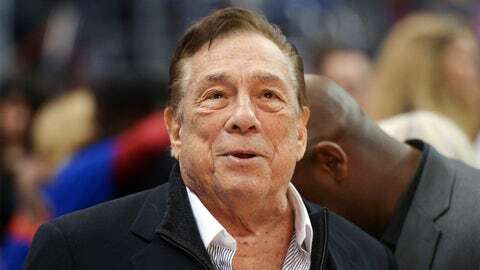 The 29 other NBA owners can force Sterling to sell the team he’s owned since 1981 with the three-fourths majority vote, but no timetable has been set for such a vote. Roger Mason Jr., vice president of the NBA players union, made it clear that the players expect quick and decisive action from the owners. "We want immediate action," Mason said during a separate news conference Tuesday. "We want a timetable from owners on when this vote is going happen." The union announced that players were willing to boycott the playoffs if the NBA’s punishment didn’t include a mandate to sell the team. "We wanted to be a part of this decision, and we wanted Adam Silver to know where we stood. And we were very clear that anything other than Sterling selling his team was not going to be enough for us," Mason said. Mason, for one, is confident the other NBA owners will vote to force Sterling to sell. "I know a lot of the owners personally from spending time in negotiations, and I would be shocked if it wasn’t unanimous," Mason said. Mason also told Yahoo that Sterling’s wife or any other family member taking over the Clippers would be unacceptable. NBPA VP Roger Mason told Yahoo that Donald Sterling's wife or any other family member taking over for LAC is not acceptable. New owner only. Some owners have already made their voting intentions clear. Orlando Magic owner Dan DeVos said his franchise was "behind Adam’s recommendation and plan(s) to vote accordingly," according to the LA Times. Bulls owner Jerry Reinsdorf released a statement saying the commissioner "was correct" to ban Sterling and "levy the stiffest allowable fine." "We will support his recommendation to press for Mr. Sterling to relinquish his ownership of the Los Angeles Clippers franchise." The Clippers themselves released a statement without a name attributed to it, saying: "We wholeheartedly support and embrace the decision by the NBA and Commissioner Adam Silver today. Now the healing process begins." With Sterling unable to run his team, who now handles day-to-day operations? Under the NBA’s ban, Sterling can’t attend games or practices, can’t be involved in any personnel decisions, and cannot participate in NBA board of governors’ meetings. FOX Sports’ Bill Reiter reports that Andy Roeser, president of the Clippers, will likely take control of day-to-day operations in the short term. How much are the Clippers worth, and who could potentially buy the franchise? Sterling purchased the Clippers for $12.5 million in 1981. If and when he’s forced to sell the team, he’s set for a huge payday. According to Forbes’ latest estimation of the Clippers’ value, the franchise is worth $575 million, a 34-percent increase over its 2013 valuation. But while the valuation might be $575 million, the real question is how much would someone pay? The answer is likely much more. As the Forbes valuation points out, the popularity of the team has "surged" in recent years with the addition of All-Stars Chris Paul and Blake Griffin, and TV ratings grew 55 percent in 2013, drawing the NBA’s fifth-largest audience. Forbes had the Milwaukee Bucks as its least-valuable NBA franchise at $405 million, and the franchise was recently sold for $550 million — and the Bucks finished 15-67 this season. The Clippers, meanwhile, have made the playoffs in each of the last three seasons, and some early estimates have them fetching $1 billion or more at sale. Entertainment mogul David Geffen has expressed interest in purchasing the franchise should the owners vote to force a sale. Geffen, with a net worth that Forbes estimates at $6.2 billion, reportedly tried to buy at least a controlling stake in the Clippers in 2010 but was rebuffed by owner Sterling. Another billionaire, real estate developer Rick Caruso, also said he would be interested in leading or joining a new ownership group for the Clippers. Others, like boxers Floyd Mayweather and Oscar De La Hoya, and music mogul Sean "Diddy" Combs have also indicated they would be interest (though the seriousness of their intent remains to be seen).